Famous for music, fashion, culture and sport, Manchester is the fifth largest city in the UK and one of its friendliest. Thousands of international students come to Manchester to study at language schools, colleges and universities every year, and it has never been easier to apply than with SI-English. If you want to study English in the UK, get in touch with SI-English today. Our 100% Free Service will guarantee you an offer from a school within 24 hours of your application being submitted and you could be studying at schools such as EC Manchester, EF Manchester and BSC Manchester very soon! If you want to progress to a UK university after your English course is completed, Manchester has two of the best in the world. The University of Manchester and Manchester Metropolitan University are both located in the centre of the city and both have a world class reputation for teaching excellence. Museums such as The Museum of Science & Industry and Imperial War Museum North, as well as galleries like the Oxford Road Art Gallery and Manchester Art Gallery, will make learning about arts, culture and history just as much a part of your life as learning English during your time in the city. The bi-annual Manchester International Festival (MIF) also hosts a variety of performances and event and showcases all over Manchester. Manchester has many of the same perks as London - a rich live music scene, sports, lots of places to eat and drink - but it costs considerably less to do all these things in the north of England. Money in Manchester will go much further than money in London, with the lower cost of living also incorporating the cost of housing, shopping and bills. World famous bands such as Oasis, The Smiths and The Stone Roses all came from Manchester, and its music scene is not only one of the most exciting in the UK, but also the world. Huge venues such as the Manchester Arena host international stars such as Katy Perry, while at smaller venues you can catch the latest upcoming acts. 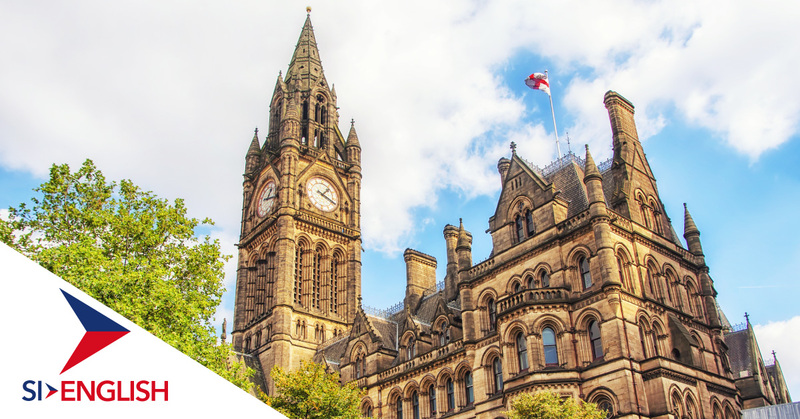 Whether your interest lies in playing or watching sport, Manchester has something for everyone. The lasting legacy of Manchester hosting the 2002 Commonwealth Games means that the public now have access to the same world class facilities as the professionals, while its two major football sides, are also famous all over the world. Remember though, pick a colour - red or blue - and stick to it! If you want to take a break from the hectic city lifestyle, the beautiful Peak District is a short journey away and offers stunning views and a more relaxed way of life. If you are interested in studying English in the UK, apply with SI-English today. We can help you apply and guarantee you an offer letter from a school within 24 hours using our 100% Free Service. View a list of English language schools in Manchester and begin your application today!